The older children and I read The Burgess Animal Book by Thornton Burgess together. We had previously read a good portion of The Burgess Bird Book for Children, which was written first by the same author. Bethany really enjoyed that, so I got this one too, since it was listed on Ambleside Online's book list. 1) My biggest problem with it is the prevalent role played by a character called Old Mother Nature, who is supposed to be not only a teacher for the animals in the story, but also makes claims throughout about having made the animals to be this way or that way. I really don't like that (and didn't recall anything like that in the Bird Book). I prefer to just teach my children the truth that God made the animals. The title of my blog is the closest I come to talking about "Mother Nature/Earth," ;) and really The Mommy Earth has nothing to do with her either. At first I thought I'd return the book -- I was that disappointed. But, since there were redeeming qualities about it, we were already familiar with the main character of Peter Rabbit, and I didn't happen to have a better option in mind at the moment, I decided I'd just edit it. I changed "Old Mother Nature" to just "Nature" (I think I did "Teacher Nature" in some places where it seemed more appropriate), and considered that it was a personification of nature who was serving as a teacher, but not a creator or a mother. I still wasn't sure exactly what she was, but I guess we just came to think of her as some person called Nature. Well, I know people named after months and seasons, so why not? This objection to "Old Mother Nature" may seem silly, but having known and spoken with some people who believe in shamanistic spiritual ideas (things along the lines of Native American beliefs) I see threads of it in a lot of children's literature and movies, and it bothers me. I have concern about the impressions these things leave with little children especially (if my children had been older and reading it independently while still discussing with me, instead of aloud, I may not have felt the need to edit so much, but instead may have made it a point of discussion). Especially because these beliefs are becoming more prevalent again in our society, in various forms. I could see a Christian alternatively viewing "Old Mother Nature" or "Mother Earth" as being okay from the perspective that since we are made of the dust of the earth, the earth is our mother in one sense. That's just not my comfort zone. 2) There is some evolutionary content -- no discussion along the lines of billions or millions of years that I recall, but plenty of references to animals as being "little people" and "cousins," etc. I edited some of this and explained some of it. This book categorizes the animals more than does the Bird Book, grouping by scientific families, etc. We discussed this as the way the animals are classified and organized for reference and comparison, and we talked about how many scientists think the similarities mean they are actually related, but while that may or may not be true in some close cases, it's not true in many ways they want it to be or think it is. I did edit some of these references also. Are you thinking this was a lot of editing? Yeah, so was I. By the way, I think it's good to introduce children to evolutionary concepts (gradually and cautiously, remembering it's essentially another false religion), especially since it's so fundamental to life science classification and discussion these days. I do recommend balancing it with good materials that present creationism, however. There are some good books out there for this (the Bible obviously being the foremost authority). We like some from Apologetics Press (can't vouch for all -- we have Truth Be Told, Dinosaurs Unleashed, and some readers). There are also video materials -- we have Incredible Creatures That Defy Evolution, which we've enjoyed. 3) The classification in this book is also outdated, as it was written some time ago. I didn't consider this a big a deal, though. It can be explained easily with a good lesson about how scientists change their minds about things over time. There are some helpful resources online concerning this problem, and a field guide that's not too old will help you out. 4) One last annoyance (yes, I'm picky) is that the illustrations are in black and white. It's possible there's a version that has color illustrations but I was unable to find it on Amazon when I searched. If you know of one please let me know. There is a Yahoo group, which shares files with color pictures of most of the animals. And it's pretty easy to do a Google image search for animals these days too. What did we do before the Internet?! *While working on this review, I found this site which I wish I'd known about *before* I started reading this book! Excellent! Thanks, Lindafay! 1) The children enjoyed it (ages 5 through 9, the five year-old not quite as attentive and only present sometimes, however, as she still napped at the time). That's always a good thing. 2) It had something of a story with it to follow as it told about the animals. The animals learn about themselves and each other. Peter Rabbit is the main character and one of the first pupils in a school in the woods, and many more animals join in on the learning as the story goes on. 3) We did learn some useful and interesting things from it. I learned more detail about different types of the smaller mammals especially than I'd known before, and distinguishing them from each other. As I mentioned before, there was a little more (not a lot) information about scientific classification, and I appreciated that from the standpoint of giving them more scientific foundation. This book covers American mammals only. There are probably other "living" books from which one could get similar benefits as these. I didn't happen to have any alternatives in mind that seemed better when I had this one available to me, however, and I still don't, although it took us quite some time to read this entire book. (Admittedly, I wasn't actively looking for one while reading this, though.) If you've got any suggestions, feel free to mention them! I'm always open to book suggestions! **Overall evaluation: We enjoyed and learned from this book, after much editing, and with several discussion opportunities. The children enjoyed it more than I did. I would kind of zone a little while reading it to them, I admit. I didn't find it as interesting. I think I'm developing a talent for reading aloud without it registering with my brain at all. I'm not sure this is a good thing, lol. If I were to do it over from the beginning knowing what I know about this book, would I buy it? I'd probably try hard to find something else. But as things are now, since I've already edited it and I'm familiar with it and the children are too, I may go ahead and use it again. 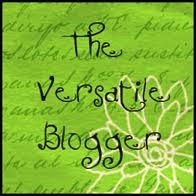 For more book reviews, follow this link or click on the tab at the top of my site. 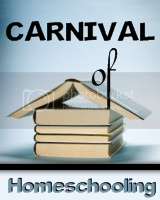 This post is part of the Carnival of Homeschooling, hosted this week at The Homespun Life. Check it out if you're interested in homeschooling. This post is also part of the Charlotte Mason Blog Carnival hosted at Our Journey Westward. BTW, I love your updated photos of the children along the side of your blog! :) Looks great! What a great review, Amber! Thank you for sharing your experience. I don't feel inclined to search the book out, I have to admit. I noticed several references to "Mother Nature" as the Creator in the Bird Book as well. While the kids are writing, I'm pulling my book off the shelf for reference. . .pp40,51,104,216,221,227,233, 241, and 242 (on a quick skim-through) all have references along the lines of "they must be very useful little people in helping Old Mother Nature (OMN) take care of her trees and other growing things" and "Peter couldn't help thinking that OMN had been very unfair indeed in dressing Mrs. Redwing" and "I certainly am thankful to OMN for the cloak she gave me" and "I guess OMN knew what she was about when she gave us different tastes. Peter nodded his head in approval. "You can always trust OMN to know what is best," said he sagely." I just remember talking about this concept with my children when we read it. I was also a little disturbed by references to things like "Rough Brother North Wind" and "sweet Mistress Spring". I don't want to be too picky, but it just sounded a little close to. . .what is the name for the religious belief. . .animism?? Like the Native Americans, believing everything has a spirit and everything has 'some of God' in it. I *did* like a lot about the Bird book, however, but I'm wondering if the Animal book had a LOT more of this sort of thing since it stood out to you so much and you didn't really notice it in the Bird book. Thanks for that info on the Bird Book, Shonya! So now one of us needs to review that one too -- I vote you since you've read the whole thing. :D I thought to myself that perhaps I should go back and look because it seemed to my fuzzy memory like I might have been wrong about there not being anything and it had been a while since we read it, but I didn't do it. Appreciate the page references, too. Looks like there's more later on in the book, and we haven't read some of the later chapters at this point. I see, now that you inspired me to look, :) that I did edit some things in that one as well (on page 104 I had replaced the "Old Mother Nature" with "God," "she" with "He," and "proud of" with "thankful for" -- page 81 is another creating reference I edited, but I hadn't marked the others you mentioned). It would have been really helpful if I'd provided some page numbers and maybe more specific examples in my review as well. Comparing the two books just on the references to creation (just thumbing through), I see far more references to creating in the Animal Book. This is probably because the "Old Mother Nature" character is the one talking much of the time in this book, versus Jenny Wren supplying a lot of information in the Bird Book. I see several outright references which I edited just in the first part of the book, (pages 10, 18, 40 for examples if someone wants to look), and there are also numerous subtler references, such as on page 64, where she refers to the pocket gopher as "one of my little plowmen," and page 145, where she says "the Bats are among the most wonderful of all my little people" (and calling animals people got edited as well in my book, by the way). The most prevalent thing I recall getting to me about the Bird Book was the way the animals spoke to one another at times, and particularly the way Jenny Wren spoke. I changed or discussed that with them several times (I don't like even animals to call each other "stupid," for instance -- as on page 42). There is some of that in the Animal Book too but it didn't strike me as being as bad. I hope I wasn't just getting used to it, but the character of Jenny Wren isn't in the Animal Book much compared to the Bird Book, and "Old Mother Nature" is at least a gentler teacher. :) I didn't edit most of the "Old Mother Nature" references I came across in the Bird Book, probably because they were fewer and I was just reading it with them when I encountered them. In those cases I often just omit or discuss them as I read aloud, and often don't stop to grab a pencil or get back to editing the text later. But the Animal Book had so much stuff that I went through and marked it up pretty well before I read it to them and even then I missed some things. Yeah, I know what you mean about the animistic/shamanistic stuff. It's hard to draw lines sometimes because I don't believe all personification is bad -- I mean, the Bible even contains some -- but some of it I'm really not comfortable with. It's really amazing how prevalent it is though. Thanks for your review. I really enjoyed reading such a thorough explanation of the what's good/what's bad about the book. It's great to get into the gritty details of what makes books of value (or not). I look forward to more reviews (hint, hint). Thank you for posting this review. I was thinking of using both of these books this year, but there are enough negatives here to make me reconsider. My son wouldn't last long with the 'mother nature' type references. Also, I don't think we have time for outdated science materials even if they are in a well-written story form. You never know what will stick with kids after a reading. Better to use a more up-to-date book. IMO, of course. When I read, I did the same thing, modifying or skipping certain references I did feel uncomfortable about. Overall, I would be pleased to know of a better (more biblical) substitute, but until it is written, I am rather pleased with this book despite its lack of giving glory where glory is due... I'll make up for that! He is amazing!! His creation reflects only a sliver fraction of His glory!! Praise Him that He has given it for our enjoyment and study. Thanks for the review! I just found what has the potential to be a gem yesterday at the used book store. It's called 'Forest Folk Tales' and was written by Marian Schoolland, who also wrote 'Leading Little Ones to God'. It's copyrighted 1952. It isn't as large as the Burgess book, but it looks promising. I only paid $1 for my excellent condition copy though. Yikes! We used these books, & I'd agree with all your points. Also with Amber who mentioned Jenny Wren's frequent use of "stupid" (which we discussed & decided to change to "silly"). Add to your list the fact that the pictures of the animals are never in the chapter that is talking about them. I've struggled with this book - whether to swap it out or not. Has anyone found a replacement that covers all the information on the animals? Thanks for the mention of the book, Renee. I'd love to know what you think of how it compares to Burgess in detail, if you'd care to share at some point. I think I've heard of Leading Little Ones To God, but I haven't read it. As for a replacement, I don't know of one, but I hope if someone else does they will share. :) I haven't seen the one Renee mentioned above and Amazon doesn't provide much info at all about it, except that it's kind of pricey used. Here is a site that explains how to format gutenberg texts in Word. After I have the text formatted, I print it to Fine Print. Fine Print prints the text at half size, in booklet form. A free version can be downloaded; the free version automatically prints the web address on the bottom of each page, but I don't mind that. Once it's printed, I cut the pages on a paper cutter. I print book covers on cardstock. When I have several books ready to print, I take them all in to a copy center (I use Staples), and have them bind them with spiral binding. The covers can be laminated if you want. This works fine for us, and doesn't cost too much. Thank you, Robin, for your tips on printing and binding books. A spiral binding would be nicer -- for both reading and storage. Thank you for your thorough review. I've gone back and forth between the issue of Old Mother Nature in this book. It hasn't bothered me too much, because my almost 6 year old son knows Old Mother Nature to be just a character in a book. I so much wanted us to like and enjoy this book, but I found us struggling to get through it. I would read it to my son, and he wouldn't really be able to tell me what I read. He would pick up on one little bit of info from it, and just make his own story of what happened. So, I've just started using it more like a spine book. I'll read a chapter once a week, and then for the rest of that week, I just use activities that has to do with the what was in the book. Example, I might have him draw a picture of one of the animals, and then while he's drawing give him some info about the animal. He also likes looking on the little map on wikipedia to see what area of the world the animal lives in. So sometimes I will print out a blank map, and have him color the area that the animal lives in. Sometimes I will just let him tell me is own story about one of the animals. Sounds like you have a creative son! I think that's a neat idea to use it as a spine book. Good idea to involve mapwork and drawing, too! I still haven't any books in mind to recommend as a replacement for Burgess. My children enjoyed the stories, but that's them. If your son likes making up his own, you could perhaps just use non-fiction books for your info and let him supply the imagination. There are lots of good non-fiction books about animals, although many will have at least a little evolutionary content. Burgess does kind of read at times like a non-fiction book anyway, just with the story woven in between the descriptions, and the photos in so many modern animal books are far nicer and more numerous than the drawings in this book, although their text isn't usually as literary. I do think there's also some value in trying to picture the animal from a written description, but there are definite benefits from seeing images of animals too. If you find any great replacements, please do let me know! !